There was once a time when songs affects me greatly and my emotions fly off the audio box or computer. That was such a long time ago and I could never say the same. The Words by Christina Perri was once a well of tears for me when I listen to it, but now it just serves as a reminders of my previous self, as if caressing the hard wall that I put around my self. For the sake of its music video, I tried to topple down the wall... and yet I couldn't. The lyrics and tune still vibrate and attempt to topple the wall, but I think I guess the effort is worthless. So I leave all the emotional connection to you, dear readers, for it might have a great chance of affecting you one way or another. 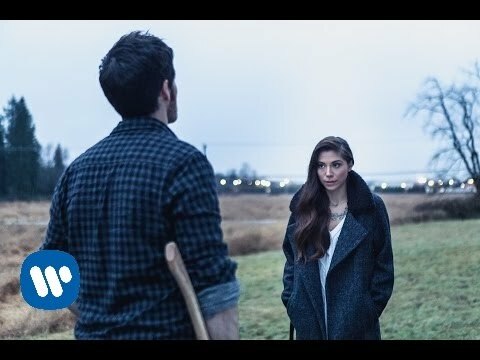 Watch the new music video of The Words by Christina Perri. This music video is produced by Vlad Cojocaru, under Antler Films. It is directed by Iouri Philippe Paille, and features Once Upon a Time's Colin O'Donoghue as Perri's love interest. The music video for The Words was released as a conjunction for the song's single, which was released on January 26, 2015. The Words was originally the eighth track for Christina Perri's second studio album, head or heart.